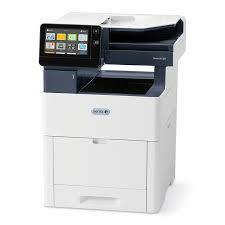 The Xerox VersaLink C505 Color Copier is designed with small businesses in mind. The Xerox VersaLink C505 is available for you to use to stay on top of all of your tasks in your office. Keeping files safe is a must, the Xerox VersaLink C505 has more security features than before to keep all of your data secure. You can deliver superior print quality to make your work look its best with a print resolution of up to 1200 x 2400 dpi to deliver sharp text and fine line detail, plus exceptional color vibrancy. If you’re ready to buy your copier with Copier Los Angeles give us a call today and we’ll help you with your purchase and any questions you may have.